48 ton of SAS 500 (grade 75) diameter 32 mm thread bars, coupled in length of 4 meter. The project is located in the south of Bogota (Colombia), it consists of a slope stabilization. 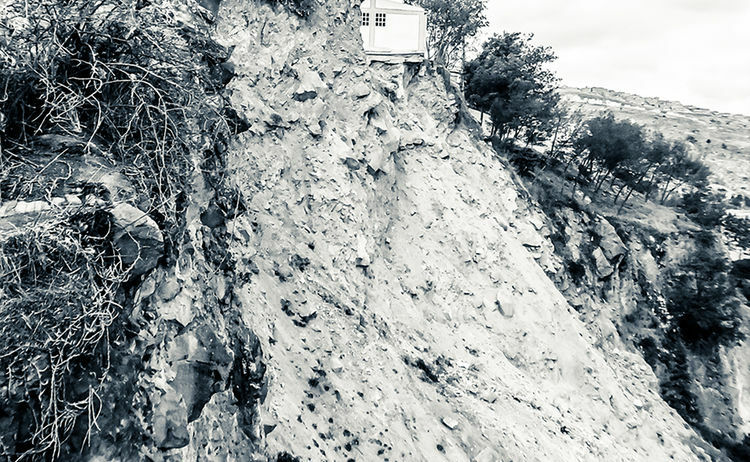 The lower part of the slope had suffered from rock fall and the houses were suffering from cracks. 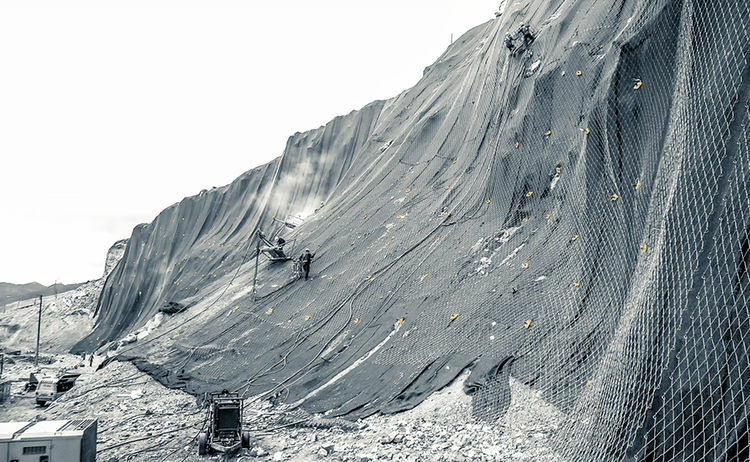 It was decided to secure the slope with the system SPIDER from Geobrugg geotextile, tied down with SAS500 bars in diameter 32 mm. 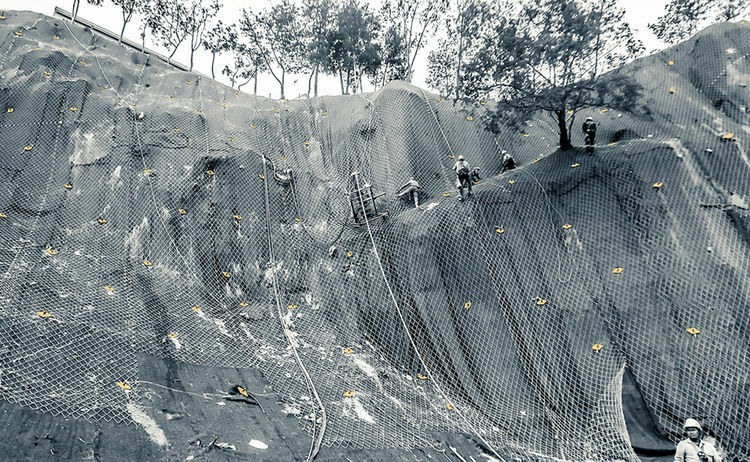 The pattern selected was 3,0 x 3,0 m in the whole slope and the working load was between 3-5 tons.